Québec’s award-winning choreographer, Sylvain Émard of Sylvain Émard Danse, will bring the critically acclaimed Ce n’est pas la fin du monde (It’s not the end of the world) featuring seven male dancers in a ritual of resistance and adaptation to the passing of time. Driven by doubt and a lust for life, they are searching for their place, sketching the contours of multiple identities. Carried away by their instincts and the power of the group, their only language is subtle, energetic movement, the music of bodies electrified by a shared feeling of urgency. Dance seems to be the best means of coming to terms with the world and of being transformed, the better to blend in. 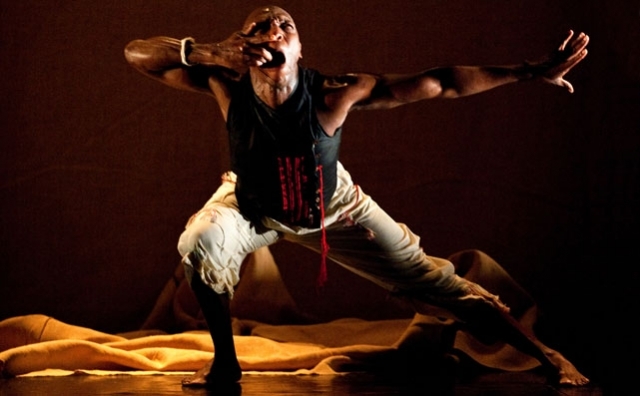 DanceWorks: NTU means ‘nothingness’ and Skwatta refers to South Africa’s squatter camps. 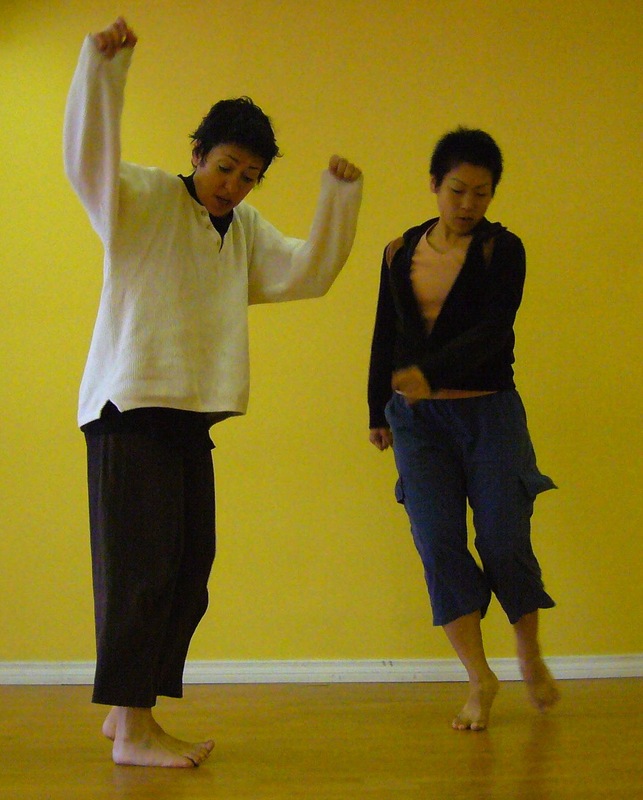 Why did you choose to express these concepts/states/ideas through dance? How do you understand these two pieces as relating to each other? Vincent Sekwati Mantsoe: Even though “Nothing” pervades, something always take shape/form, either materialized or spiritually. Both NTU and Skwatta have been created for open dialogues, so I come to believe that both solos are connected either by the states of spirituality, humanity, poverty, pride and so on. NTU is nothing; you as an audience you can create and re-create this path for yourself and see where the path takes you, yet within this Nothingness, the simplicity of nothing, the state of something take shape. In this case Skwatta is the cure fact of how ‘underprivileged’ still live under dyer situations and this is not a unique condition only in South Africa but all over the world. The poor still get even poor and the rich still even richer. DW: Culture is something embodied; something we understand through being and living. How do you hold and express both traditional and contemporary elements within you and your work? VSM: Well, It has been a bumpy road, but as long as I stand, walk, talk and can still express different issues or elements through my body, cultural preservation in the 21st century has always been my true ally. I also hold great respect for tradition, African, Asian and western. And living in the 21st century, I try to adapt old traditions, carefully crafted to be on an international arena where individuals can be inspired or simply travel a new path. Bumpy roads are simply obstacle that can be cleared with patience, and being true to your art. Over the years, I have been slowly crafting these elements. Do they fail? Do they work? Yes, they do. But the philosophy in both my work and in me thrives to be honest and be what it is. DW: How do certain places affect what you create? How does traveling to different places around the world affect the work you do? VSM: Even though I am based in France, my work is very much rooted in Africa, specifically South Africa. Hence traveling around educates me in learning more of different cultures and how it can or cannot affect where I come from. Human culture/traditions have evolved, that is the nature of things. How it affects me and who I am matters as to how I create my work one way or another. 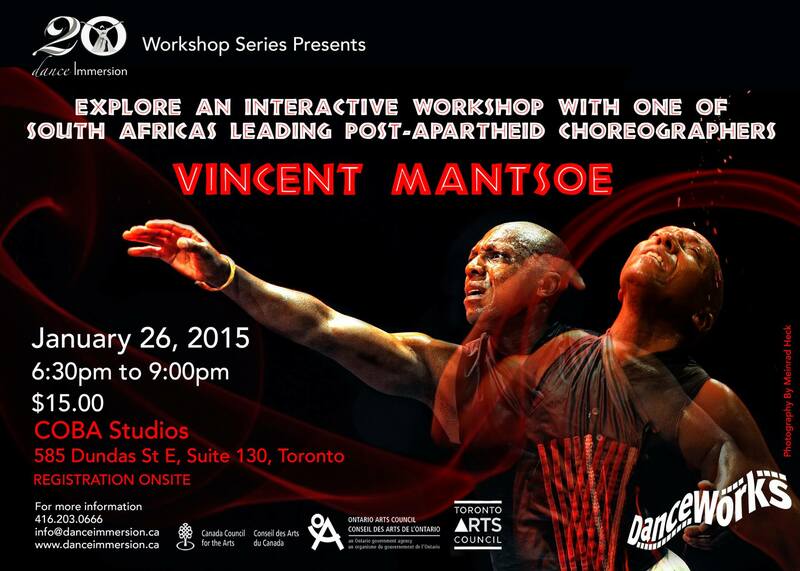 Interested in attending class with Vincent when he visits Toronto in January 2015? 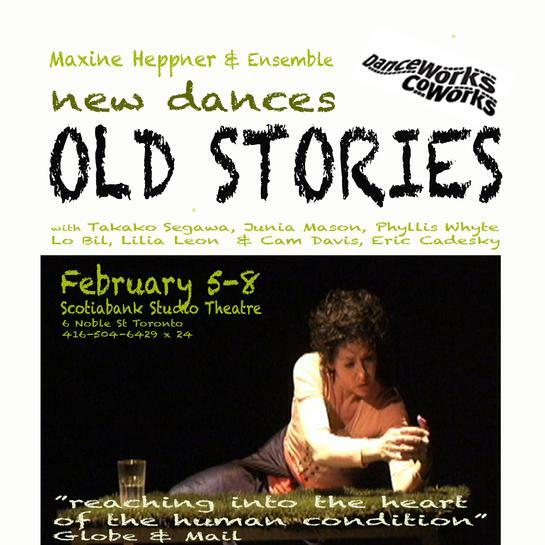 as part of Harbourfront Centre, NextSteps 2014-15 season, a DanceWorks CoWorks Series Event. In L’éternel voyage, Sylvie Bouchard continues her quest to reveal human dilemmas. Three characters learn to trust the beating of their own hearts as they move forward on a journey, both individually and together. The trio explores an ethereal landscape residing in an in-between space, bringing forth the mystery of the unknown, undiscovered places and new territories. Where do we begin, and where do we end? How do we comprehend the incomprehensible? Calm and dazzling winds, sudden gusts and tornadoes accompany this group on their voyage. L’éternel voyage is a hymn to life and a call to fully savour the moments that are precious to each of us. Misunderstood and alienated, Camille Claudel’s genius was terrifying. Auguste Rodin described her as “his most extraordinary disciple.” Of sound mind and in full possession of her magnificent talent, Camille was committed in 1913 at 49, and finally succumbed, depressed and unrecognizable, after 30 years of continuous confinement. What inspires us? What moves us to create? Here lies the basic theme of L’Implorante. 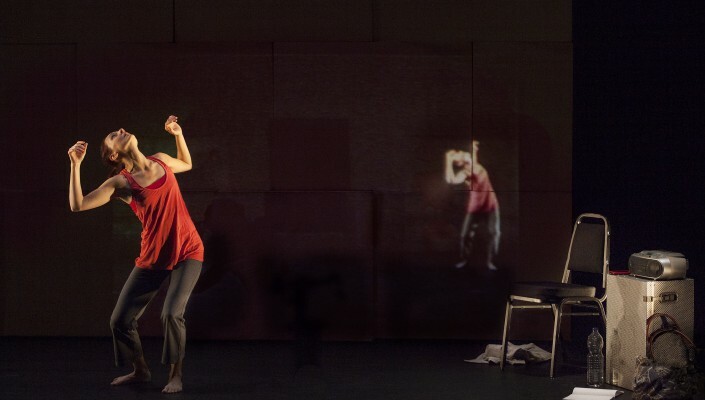 This production puts movement and immobility in opposition, in both a literal and figurative sense. While on tour in Europe, a choreographer (played by Sylvie Bouchard) visits the Rodin Museum in Paris. She comes upon an autobiographical sculpture by Camille Claudel (Rodin’s student and mistress), on her knees begging him not to leave her. The work, entitled L’Âge mûr (Mature Age), disturbs the choreographer so that she becomes obsessed by its emotive power and even more so by ‘L’Implorante’, the third figure in the group. Desperate to understand the emotional charge within this sculpture, she begins a frantic search through Camille’s personal correspondence. She works on movements in suspension, like Claudel worked on a piece of clay. Absorbed in Camille’s quest to liberate from the earth a woman in her own image, the choreographer finds her own “self” through movement, while accompanied by the letters Claudel wrote to her brother Paul and to Rodin. 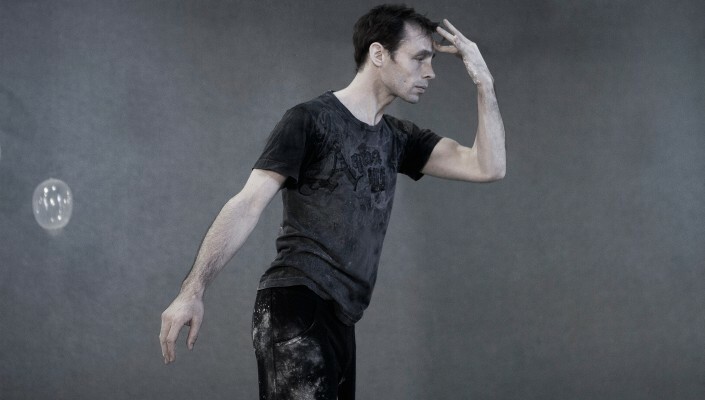 An original idea by Claude Guilmain, based on letters between the artists Camille Claudel and Auguste Rodin, this stage adaptation directed by Guilmain and Louise Naubert will be presented in French, with English in-ear translation. Please note that the text in this production is minimal. L’Implorante has received many accolades from press, media and audiences both in Ottawa, and for the in-progress showing at Glendon College.